Few movies have captured the imagination of so many generations like Mary Poppins. For anyone who hasn’t seen it, the original movie came out in 1964 and featured Julie Andrews playing a magical, singing nanny who enters a somewhat dysfunctional family and improves their lives with her charm and wit. Because the original was so popular, Hollywood finally decided to green-light a sequel to the original—even though it took 54 years! The new movie, Mary Poppins Returns, came out in 2018 and has the nanny played by Emily Blunt. And to get ready for the movie, she had to learn how to sing! 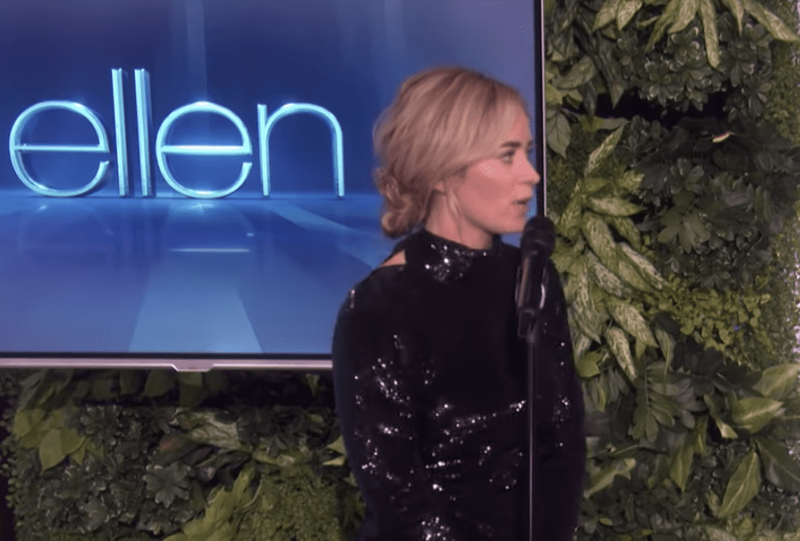 As part of the tour for the movie, Blunt went on the Ellen Show to promote her movie—and had to stand up to some questions. As Ellen asked about her experiences on the movie, she discovered that Blunt had a fear of singing in public. 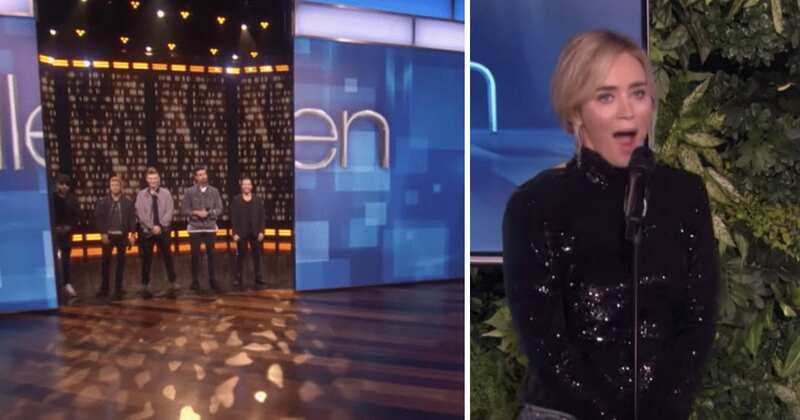 Naturally, Ellen decided to pressure her to sing in front of the entire crowd! Though it took a little bit of convincing, she finally got out of her chair and made her way over to the microphone. Although she was clearly very nervous, she was still playing along as best as she could. Fortunately, there was a great surprise in store for her! To encourage her along, Ellen asked Blunt a few more questions. Blunt said that she felt very exposed in front of so many people. “Well, what if we had the Backstreet Boys behind you?” Ellen asked. 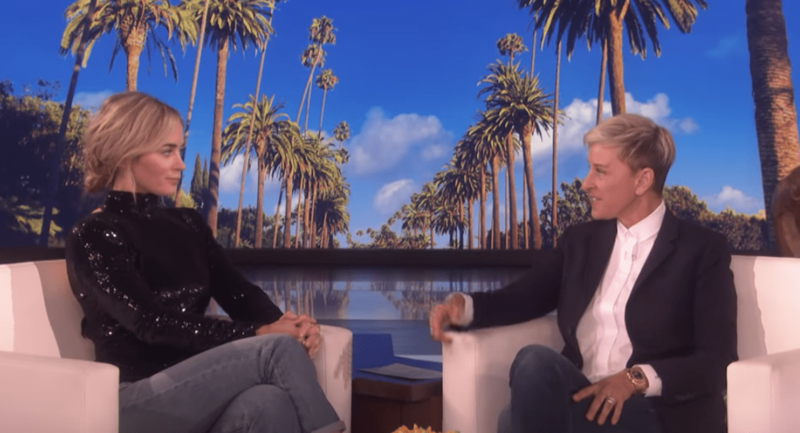 With that, Blunt suddenly gasped—if Ellen’s show is known for anything, it’s for bringing on surprise guests and keeping her scheduled guests on their toes. Just a moment later, the stage doors behind Blunt slowly started opening up. Sure enough, all the Backstreet Boys were behind her ready to perform! Needless to say, Blunt was more than happy to get the support. After they all came out, Blunt went down the line and made sure to hug each and every one of them. Now that her confidence was up a little bit, Blunt said she could do it. To start it off, the Backstreet Boys counted them in. Moments later, all of them started into the band’s 1999 smash hit, “I Want It That Way” and the crowd couldn’t have been happier! As it turns out, the Backstreet Boys still sound just as good as they ever did. Everyone was enjoying the song… but the band still had one more surprise in store for Blunt. 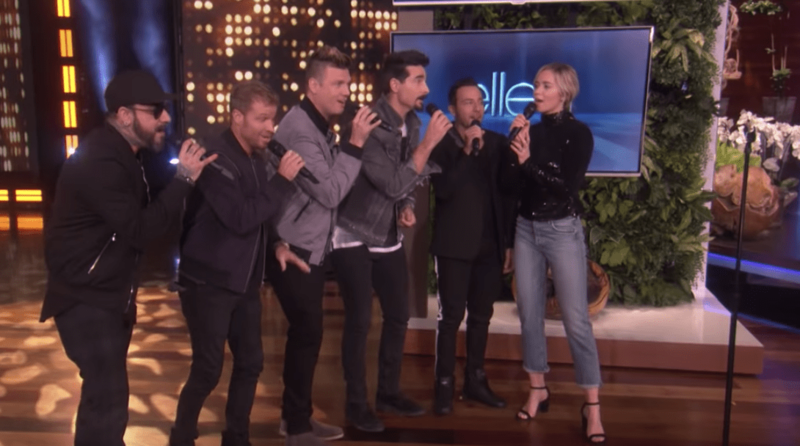 As they were all nearing the end, all the Backstreet Boys stopped singing along and left Blunt to carry the end of the tune on her own! Fortunately, despite her embarrassment and stage fright, Blunt still has a beautiful singing voice. She finishes the song off in perfect fashion before turning on her co-performers angrily. “You left me alone and you weren’t supposed to!” she yells. All the band members laugh… but she seems to forgive them in due time. At the end of it all, the audience gives them a big round of applause. Although the moment itself was great, it stills comes as a shock to us that the Backstreet Boys are still together! If you don’t love this song, we don’t know what we can do to help you—if nothing else, you can definitely appreciate the choreography! Even if you’re not personally a fan of the band, the moment they had with Blunt is adorable. Though it’s been a long time since we’ve seen the original Mary Poppins, the sequel has a talented cast—and Blunt can really sing! Have you already seen the movie for yourself? Do you have a favorite Backstreet Boys song that we didn’t mention? Leave a comment and let us know!